The thing about moving is, no matter how close your new destination is, you still have to pack up the same amount of stuff. Orange Movers makes this easy, with a local moving deal that includes all of that grunt work. Our goal is to make moving simple and stress free by providing you with experienced movers and reliable equipment that gets you from one locale to your next in no time. Don’t let a short move turn into a big mess, Call Orange Movers now to get the job done right. When you prepare for the move, there are countless Plantation movers that you can hire to cope with the move. With as many options as you know, how can you know if you are hiring the best company? Be sure to hire local moving professionals in Miami that provide you with the important qualities listed below. You need to be sure that you made the right decision. Before we start listing those qualities that good Plantation movers should have, we would like to tell you something about the city itself. What is Plantation, Florida like? Plantation is the city in South Florida, in Broward County. From the beginning, architects constructed the city so that homes next to each other don’t look alike. When it was officially founded, it had 500 people. Today, the city of Plantation has a population of nearly 85,000 people with 55 diverse cultures. If you are wondering where all those people work, you should know that there are offices of very big companies. Some of them are American Express, Motorola, Florida Power and Light, DHL, Plantation General Hospital and Westside Regional Medical Center. Regarding the education, there are ten public schools, all of them with good rates. And if your children want to go to university, the closest ones are the Nova Southeastern University and Florida Atlantic University. There your children can pick practically anything they like since these colleges offer a lot of various programs. And if you want to have fun, there is Plantation Preserve Golf Course and Club with 18-hole championship golf course. It also has a clubhouse with beautiful panoramic views, as well as many other facilities. If you are a nature fan, there are numerous parks where you can enjoy the silence. Or you can come here with your family and let your children play on fresh air. If we have convinced you that you should move to Plantation, Florida, then you should know your next step. Now, you should pack all your stuff. If you are not sure how you can pack without spending too much money, have a look at our guide where to find cheap packing supplies. But, before you even start packing, you should hire Plantation movers. But, how to find the best ones? All your experience of moving begins with and is based on the experience of the seller of the company. 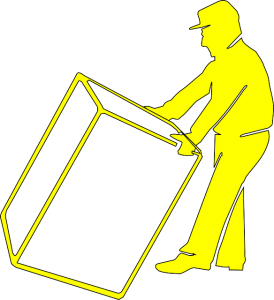 In order to provide you with the best service, a rep should be friendly and interested in your specific needs to help you organize an easy move. They should know all company policies and be able to answer any of your questions. And also be there to work with you from the first contact to the final stage after moving. In addition to researching online reviews and other sources of customer feedback, you should also ask the movers for customers references in the last 12 months. 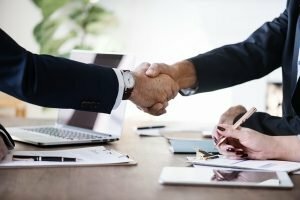 A reputable local company that offers excellent service and is proud of the services that they offer, should be able to provide you these references on request. Accurate calculation of the costs of your move is necessary to avoid the possibility of unexpected fees or not receive a service for which you believed that you are paying. Eliminate this problem by working with movers that send reps to your home to make an accurate inventory list. The representative of the company must provide you with a full explanation of all fees, services, your specific inventory and their hourly rates. The company should also offer you a choice of both mandatory and optional evaluation. Also, good and reliable companies, such as Orange Movers Miami, give you the opportunity to check the quotes on their website. Workers who come to pack, load and unload your things, must arrive on time. And they need to work all the time, stopping only for short breaks, when necessary. They should be cleanly dressed, polite and professional and be careful with your possessions. Plantation movers should always send a sufficient number of workers to do the work in the specified period of time. If you feel uncomfortable with the service, stop workers and talk to your representative before everything is done. 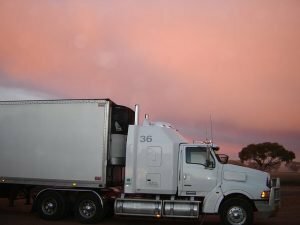 Along with sending the required number of skilled and polite workers, the moving company must have all the necessary equipment to ensure a smooth and safe movement. Trucks must be in good condition. And workers must arrive with safety equipment, lifting and moving equipment they need to load all your items. Every respectable moving company will usually call a few days after your move. They want to make sure that you received excellent service and ask if something was damaged. They should also advise how to handle claims for damages and solve any other problems that you may have. A representative may also ask you to provide a review if you have had a positive experience. Choosing the right Plantation Movers can take some time. An excellent local moving company can make the difference between smooth and stress-free movement, and the other – on the contrary. Be sure to find reliable home movers that possess these qualities. For more information, you can check our tips for picking reputable and cheap movers in South Florida. And always sign a contract! So, be sure that you choose the right Plantation movers. We at the Orange Movers Miami always pay attention to your needs. Our representatives are polite, friendly and have a lot of experience. You can also get your moving quotes with few clicks on our website. We are already waiting for you. Homes come in all shapes and sizes. Whether you are leaving a small Plantation studio, utility apartment or sprawling suburban house, we have a local moving package that will meet your needs. 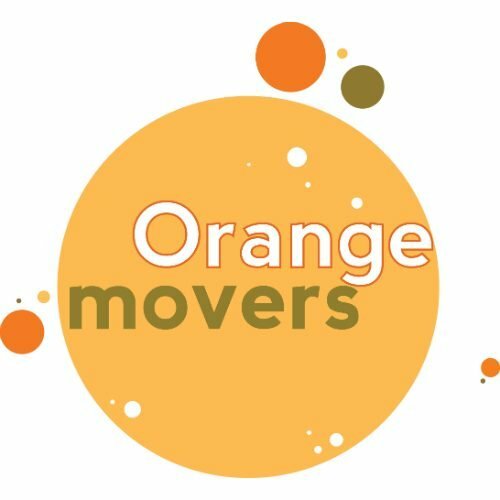 Each move is unique, and with Orange Movers you will know that your moving team is dedicated to making your residential moving process, a success. Make every penny allocated to your commercial relocation count, with an efficient team of professional movers. At Orange Movers we recognize the special needs of moving a business and work feverishly to ensure that your day to day operations are not disrupted. There is no item too big, too valuable, or too fragile for the Orange Movers’ experts. We make specialty moves our expertise, with individual pricing plans based on your specific circumstance. Is there a piano on your second floor that you absolutely must have? Our reputation in Southern Florida is flawless. We have built a residential and commercial moving business that is trusted by your friends, neighbors and family members. They like our reliability and integrity so many of our customers are hiring us when moving again, or at least referring us to someone they know. We know that you want a trustworthy company to take charge of your belongings, and with Orange Movers, we have earned it. There are supposed easy ways of making a local move in Plantation. You could rent a truck, and be stuck packing and lifting boxes all day, only to have to reverse that process later on. You could also set up a portable storage unit on your lawn, and leave your items vulnerable to the elements and theft. Or you can call Orange Movers and get a company that does all of the work for you at practically the same cost. With a full service local move, you stuff is safe and you don’t work. That’s a great advantage. You are not always going to get the whole story in pricing from other Southern Florida movers. In the fine print can be hidden costs and fees that you don’t know until it’s too late. Orange Movers gives you upfront pricing from the start, so that you are not left with any surprises at the end. Don’t just go with whoever seems cheaper, make sure that what you are signing on for is what you are going to get. We have decades of experience under our belt, helping thousands of residents and business owners across Southern Florida relocate with ease. Prompt and friendly for every visit, you’ll be impressed not only with our skills in moving your stuff, but in the professional way in which it is done. There is a certain art form to packing up an entire house and getting it to a new one, and we have mastered that art down to the last box. Despite superior operations and skills, Orange Movers recognizes that there is always more to strive more. We strive for perfection in every residential and commercial move, from the moment we step in and start packing boxes. Our continued drive to for excellence in moving means you always get the absolute best service. Don’t trust your moving needs to just anyone on the block, go with the company that puts your needs at top priority.